After around 6 years of service, the GPZ500, or as I fondly refer to it, The Crap Bike is being retired. 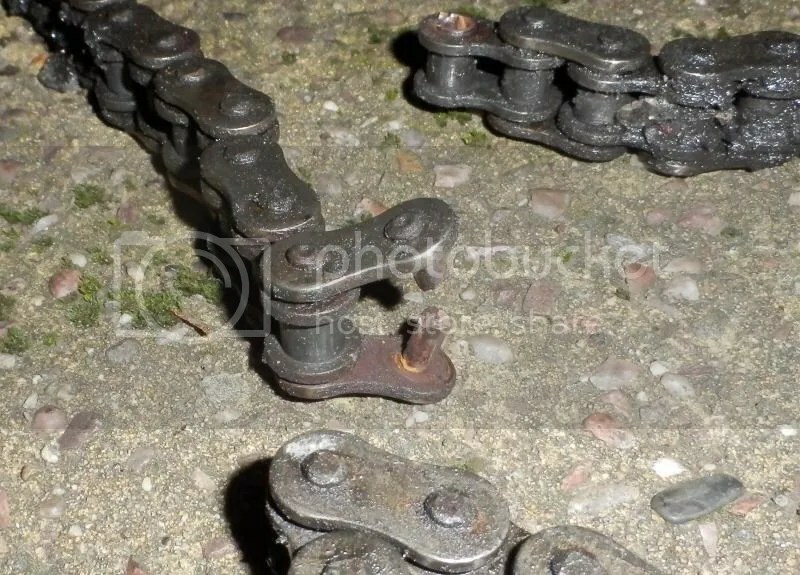 It’s rideable and fixable, but after new front wheel, head bearings, welding to repair the exhaust, wheel bearings, and many more hours work, it will still be just an old slightly less-crap bike. So I decided it was time to upgrade. 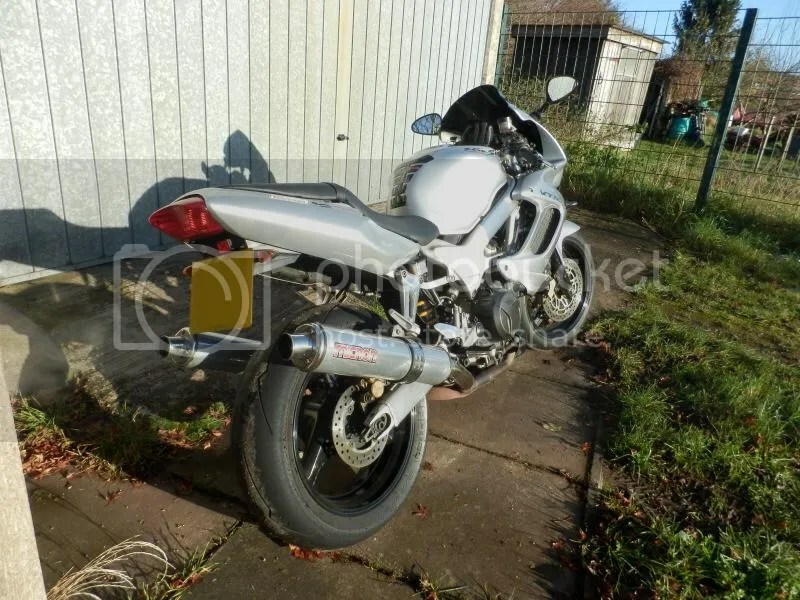 I looked at what I could get for as little as possible that would do for a commuter – not even considering something a bit fun this time (apart from a CBR600F that tempted me…). It was CB500 and EN500 city, with a slim chance of snagging an SV650 to join my V-Twin stable. Then a friend with some unfortunate circumstances offered me his bike. I dismissed it instantly, as I knew he’d done loads to it, and didn’t think he’d appreciate me killing it through the Winter. Ooh yes! My very first bike was a blue and white Yamaha TZR, so this was going back to my roots! 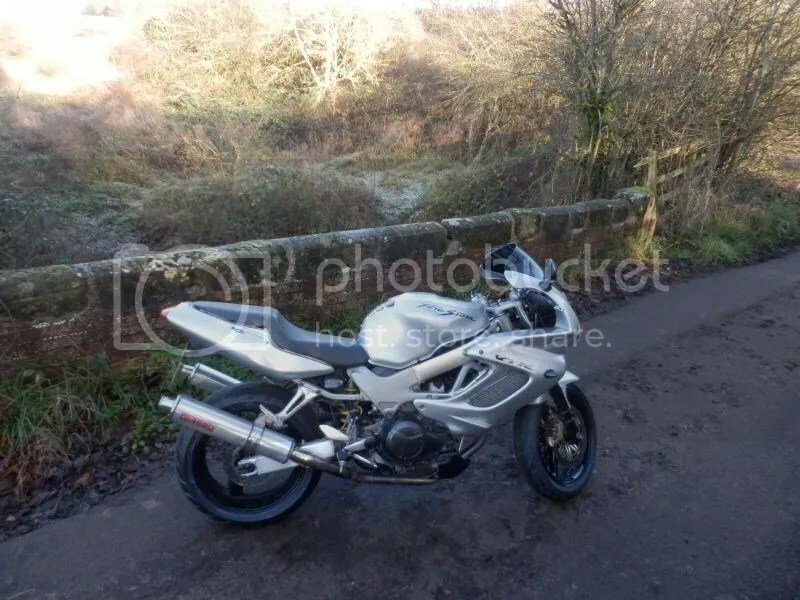 I picked the bike up, realising that this would be the first time I’ve ever ridden a 600cc bike on the road, the rest being on track, and pootled it home to see what I’d bought. It wasn’t running great, possibly needing a carb balance, but I was happy with the deal in whatever state, and you can’t buy a 19 year old bike and expect it to not have any issues. And it had been stood for a good while. Other than not wanting to pull away or rev at the top end, the low-down grunt was ok. It felt much lighter and flickable than I’d expected, and with those combined it was already seeming like a good commuter. 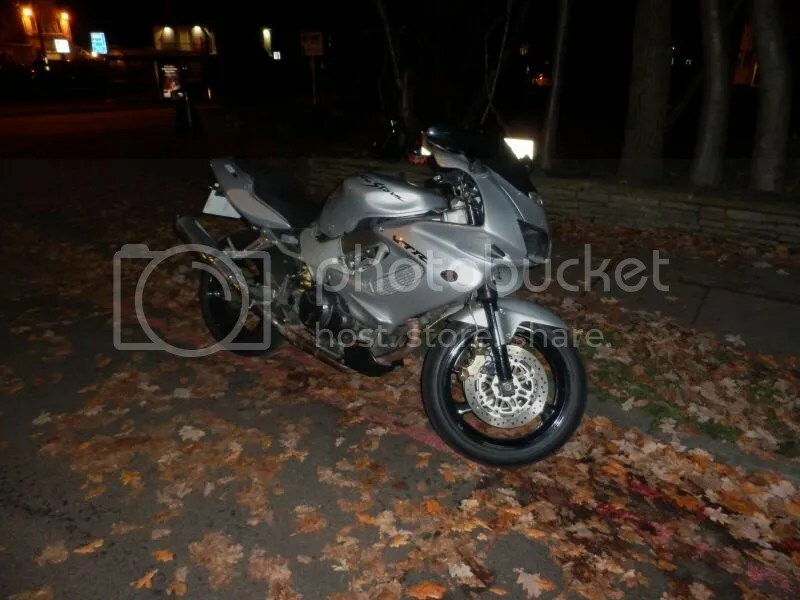 It felt old, and with the speedo showing up to 180mph, it seemed the bike was barely moving as I was doing around 60mph – I thought that might be a bit of an effect of using such a small portion of the speedo, as a really good one may get just over 150mph back in the day. 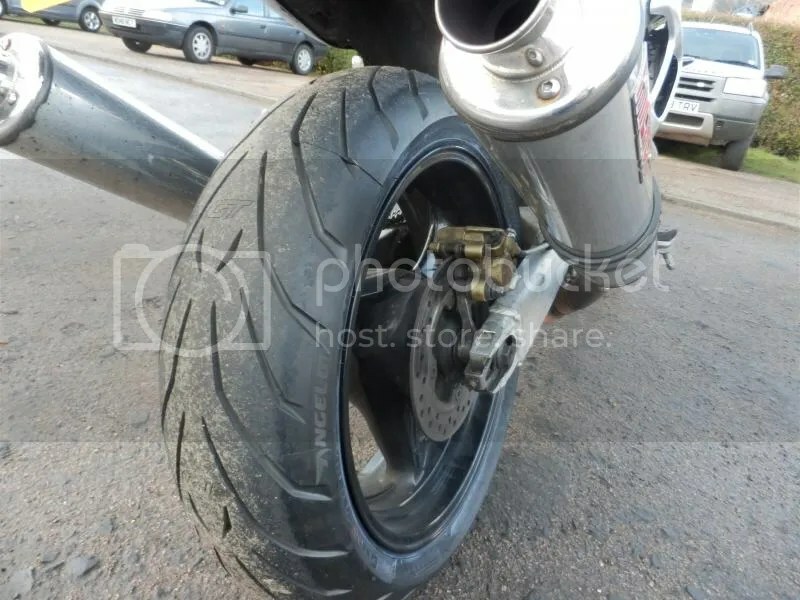 The front brake isn’t as sharp as I’d like, but I can put R600 calipers on and sort that out, and tyres are all good. I took it out for a blast the next day to see if I could blow the cobwebs off, stopping off for a few pics as I tried to get lost down country lanes as I got a feel of the bike. After about 25 miles I headed back towards home, having given it beans and not scared myself. But then, after the VTR ripping my arms out on the throttle, what could I expect from a tiny old 600? Then I accidentally over-revved it and it was like flicking a switch! The sound changed as all four cylinders suddenly woke up. I got back on the power and hooooly poop! The front lifted as the race can snarled out its true potential, and I revved out the first few gears to see what it had got. It’s got more than I thought! 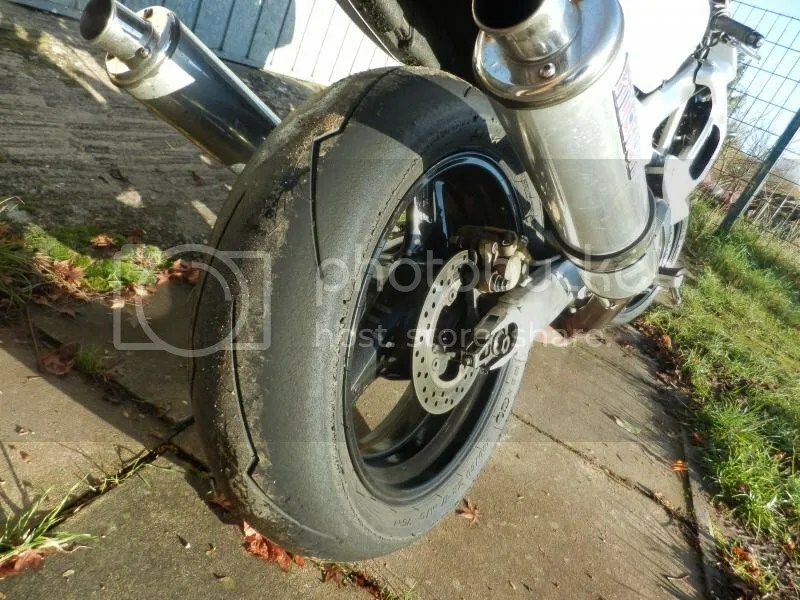 The exhaust note was now reminding me of the 600 track bikes I’d been on, hitting that sweet spot at about 13,000rpm where it’s like a drill being rammed into your eardrum. I was suddenly approaching the corners “quite a bit” faster, and now KNOW I need to sort out the front brakes. It also means a track day might be back on the cards! Who was it who told me 600’s were crap on the roads? And that old bikes are slow and heavy? I think this little old FZR600R could make me fall in love with Yamaha again!